No matter how hard you try, there are things in this world that just refuse to die. Despite minimal benefits of high speed memory, in most real world applications, consumers, producers both are still in the hunt for the highest spec memory. For consumers it is all about bragging rights; for produces it means much needed revenue. In an environment where memory prices are rock bottom and despite recent bankruptcy of a major memory producer, they just refuse to budge (upwards) significantly. 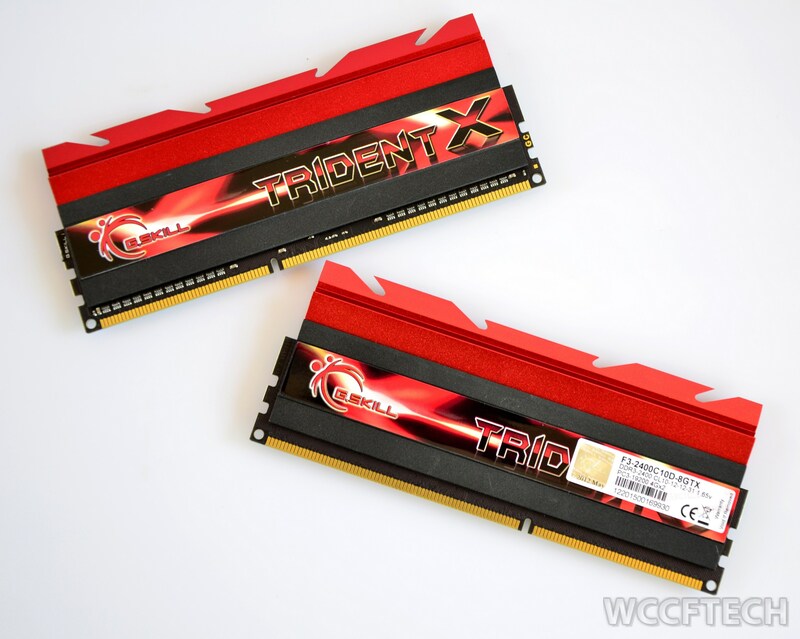 Today we are going to be looking at G.Skill’s Trident-X 2400MHz memory, a 80 dollar kit that consists of 2 modules of 4GB each. It is designed specifically to take advantage of Ivy Bridge CPUs’ tweaked memory controller which supports higher speed memory. The modules come in a clear plastic shell which doubles as a product display package as well. The two trident modules lie side by side over a red information card. The memory modules also come with a badge to stick on the computer case. The first thing that comes to mind when working with the memory is just how heavy they are. I do not recall memory sticks weighing this much in a long, long time. The heat dissipation mechanism is different from G.Skill has been doing recently. The memory modules (on a black PCB) are surrounded by a black Aluminum extruded heat sink (or shield). Screwed on top of this are the heat dissipation fins. Though in reality the removable portion acts more like a heat sink and the Aluminum plates as a heat shield. This arrangement offers the possibility of using exotic cooling solutions by removing the heat sink (like LN2 etc). This memory, thus, is heavily geared towards the enthusiast user looking to break records, without breaking the bank. Notice how it only says XMP-2286 in the profiles. 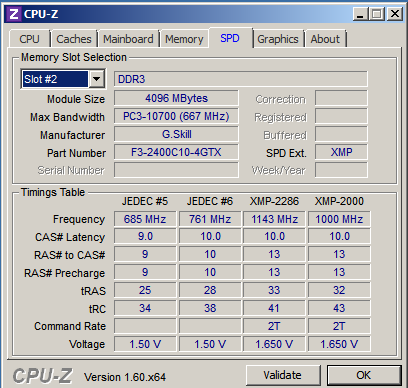 The actual (2400MHz) is dependent on the processor-board combo. The memory is certified to work at 2400MHz using a Ivy-bridge class processor on a certified board. The higher the rated speed, the better the performance. Nothing surprising here. 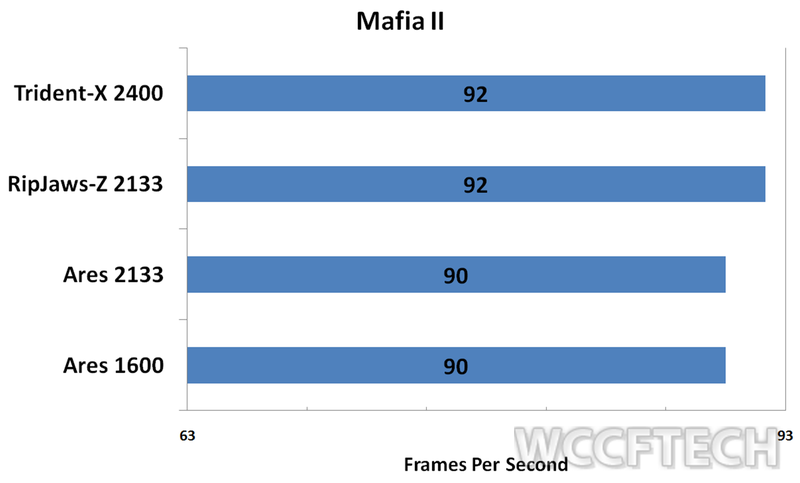 Mafia II is the long awaited sequel to one of the greatest third person shooter –Mafia. It was selected because of all the games tested this was the one that showed the most “difference” in performance as memory timing were changed. The built-in benchmark tool as used. Just to make sure that the lack of user generated content does not make a difference, the first level was played while benchmarking with FRAPS. (The difference between the two was not statistically significant). The game was run at 1900 x1200, with all in game settings turned to their maximum. As the testing was done on an ATi video card equipped system, dedicated Phys-X and APEX effects were disabled. When it comes to real world apps, the difference between the memory modules disappears almost entirely. Trident-X produces oodles of bandwidth, so much so that most real world applications do not even. Those interested in benchmark figures will have a ball with Trident-X especially as it does not cost an arm and a leg. 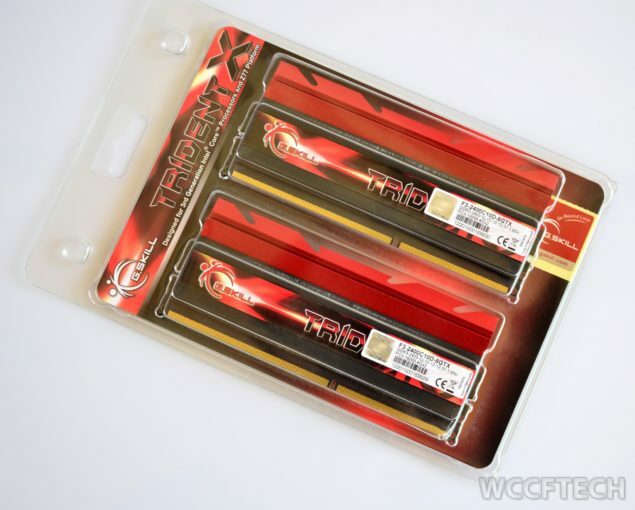 Even if high speed memory is not an essential requirements for everyday computing and gaming, Trident-X offers excellent value for money; it performs at the top end of the spectrum without forcing you to shell out mega bucks.